I came back from the three-day clergy conference in Adare, Co Limerick, on Wednesday night to put the finishing touches to my monthly column for two magazines, the Church Review (Dublin and Glendalough) and the Diocesan Magazine (Cashel, Ferns and Ossory). Next month marks the 80th anniversary of Kristallnacht, the night of 9/10 November 1938, when Jewish homes, businesses, synagogues and other buildings were attacked in a wave of state-sponsored terror that marked the beginning of the Holocaust. When I was in Berlin last month, I was staying around the corner from the New Synagogue on Oranienburger Strasse, which survived the attack that night, and which remains one of the most eye-catching buildings in Berlin today. The congregation in the New Synagogue today is Berlin’s only Masorti synagogue, and Gesa Ederberg became the first female pulpit rabbi in Berlin when she became the rabbi of the New Synagogue in 2007. Gesa Ederberg’s attracted much media attention not only because she is a woman and because her appointment was opposed by Berlin’s senior Orthodox Rabbi Yitzchak Ehrenberg, but because of her interesting background and life story. She was born in the university city of Tübingen in 1968, and is married with three children. Born a Lutheran, she first visited Israel when she was 13 and slowly fell in love with Judaism. She studied physics, theology and Jewish studies in Tübingen, Bochum, Berlin and she converted to Judaism at the Jewish Theological Seminary in New York in 1995. After returning to Berlin, she taught Hebrew school and organised an alternative minyan at the Oranienburger Strasse Synagogue, slowly taking on more of a leadership role in the community that has been at the centre of Berlin’s liberal Jewish community for 150 years. Gesa Ederberg then entered rabbinical school at the Schechter Institute of Jewish Studies in Jerusalem, and she was ordained a rabbi in Jerusalem in 2003. Her first appointment was as the Rabbi at the Jewish Community Weiden, Bavaria, and in February 2007 she became the Rabbi at the Oranienburger Strasse Synagogue. She established a Conservative Jewish beit midrash or study hall in Berlin, and is also the executive vice president of Masorti Europe, and the author and editor of several publications. Her status as the first woman rabbi to serve in Berlin since the Holocaust has helped her reinvigorate the German community that once represented the cutting edge of liberal Judaism. But Gesa Ederberg is not the first woman rabbi in Germany. Indeed, it was in the New Synagogue on Oranienburger Strasse last month that I heard the story of Regina Jonas, the first woman rabbi who was ordained in Germany in 1935. She served the Jewish community of Berlin and continued to help guide the Jewish community until her death in Auschwitz in 1944. Regina Jonas (1902-1944) was born in Berlin and was orphaned at a very young age. She trained as a teacher but later enrolled at the Higher Institute for Jewish Studies and took seminary courses for liberal rabbis and educators. She graduated as an ‘Academic Teacher of Religion’ and completed the thesis that was required for ordination. Her theses asked, ‘Can a Woman Be a Rabbi According to Halachic Sources?’ Her conclusion, based on Biblical, Talmudic, and rabbinical sources, was that she should be ordained. At first, she was refused ordination because she was a woman. Rabbi Leo Baeck, the spiritual leader of German Jewry who had taught her at the seminary, also refused because the ordination of a woman as a rabbi would have caused serious divisions within the Jewish community in Germany. However, on 27 December 1935, Regina Jonas was ordained by Rabbi Max Dienemann, head of the Liberal Rabbis' Association, in Offenbach am Main. 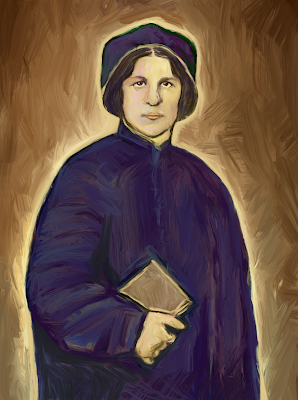 Regina Jonas found work as a chaplain in Jewish social institutions while she tried to find a pulpit. Despite Nazi persecution, she continued her rabbinical work as well as teaching and holding services. She was arrested by the Gestapo on 5 November 1942, and was deported to Theresienstadt concentration camp. There she continued her work as a rabbi, and Viktor Frankl, the psychotherapist, invited her to help in building a crisis intervention service to help prevent suicide attempts. She met the trains at the station and helped people cope with shock and disorientation. For two years, she worked tirelessly in the Theresienstadt until she was deported with other prisoners to Auschwitz in mid-October 1944, and she was murdered soon after at the age of 42. Regina Jonas was largely forgotten until her work was rediscovered in 1991 by Dr Katharina von Kellenbach, a German-born researcher and lecturer in the department of philosophy and theology at Saint Mary’s College of Maryland. She travelled to Germany to research a paper on the attitude of the German religious establishment, both Protestant and Jewish, to women seeking ordination in 1930s. 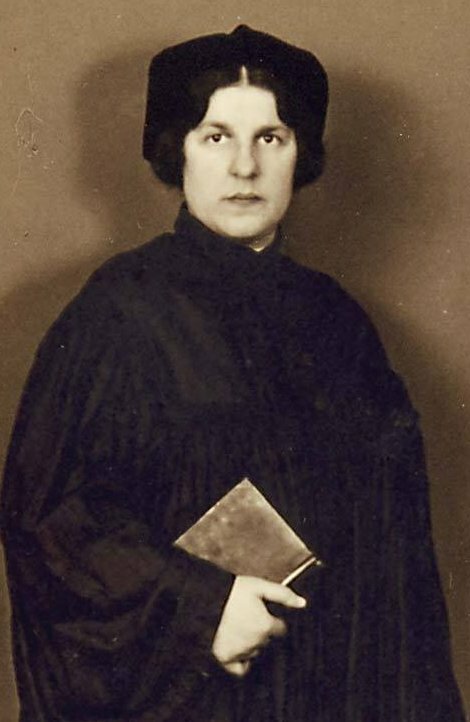 In a former East German archive in East Berlin, she found an envelope containing the only two existing photographs of Regina Jonas, along with her rabbinical diploma, teaching certificate, seminary dissertation and other personal documents. Five years ago, a large portrait of Regina Jonas was part of an exhibition in Berlin in 2013 to mark the 80th anniversary of the Nazis’ rise to power in 1933 and the 75th anniversary of Kristallnacht, in 1938. Meanwhile, in 1995, Bea Wyler, who had studied at the Jewish Theological Seminary in New York, became the first female rabbi to serve in post-war Germany, in Oldenburg. In 2003 and 2004, Gesa Ederberg and Elisa Klapheck were ordained in Israel and the US, and they have gone on to lead congregations in Berlin and Frankfurt. In 2010, Alina Treiger, who was born in Poltova, Ukraine, and studied in Potsdam, became the first woman to be ordained a rabbi in Germany since Regina Jonas was ordained in 1934. In 2011, Antje Deusel became the first German-born woman to be ordained as a rabbi in Germany since the Nazi era. The actual date of Regina Jonas’s murder is not known, but it may have been 12 October 1944, a date observed by many Jewish communities and marked by many Jewish women’s groups … and a day worth remembering today.